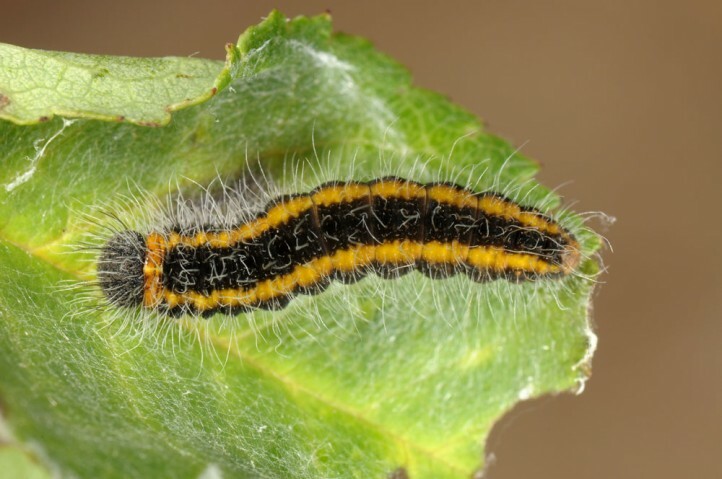 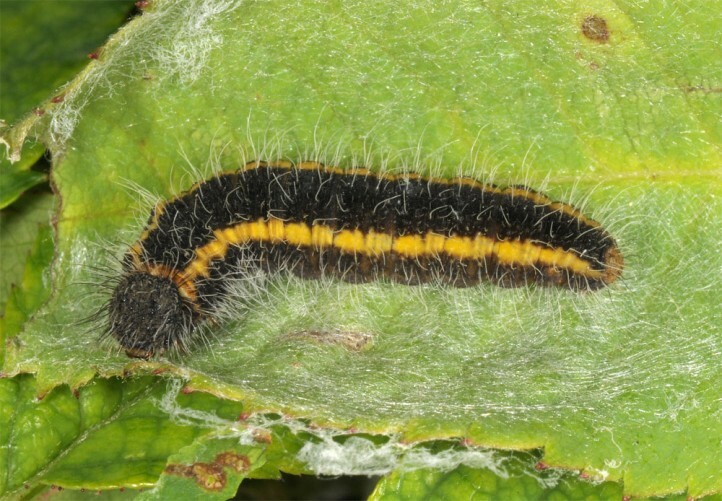 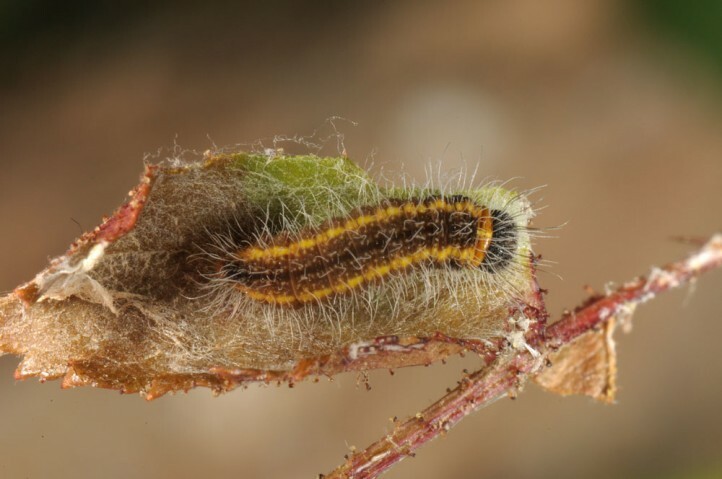 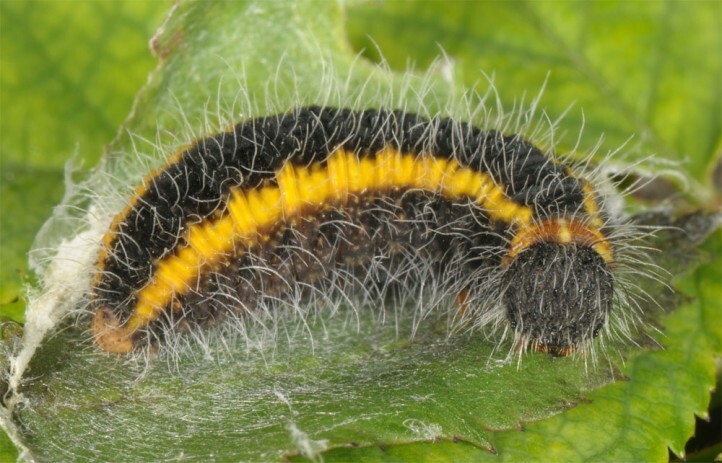 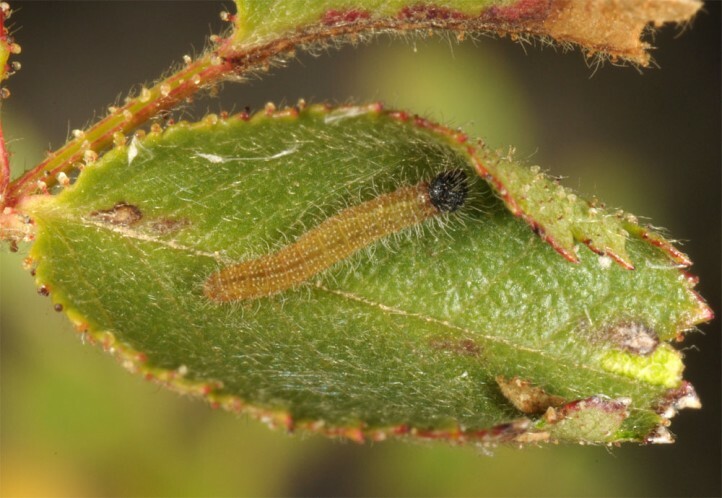 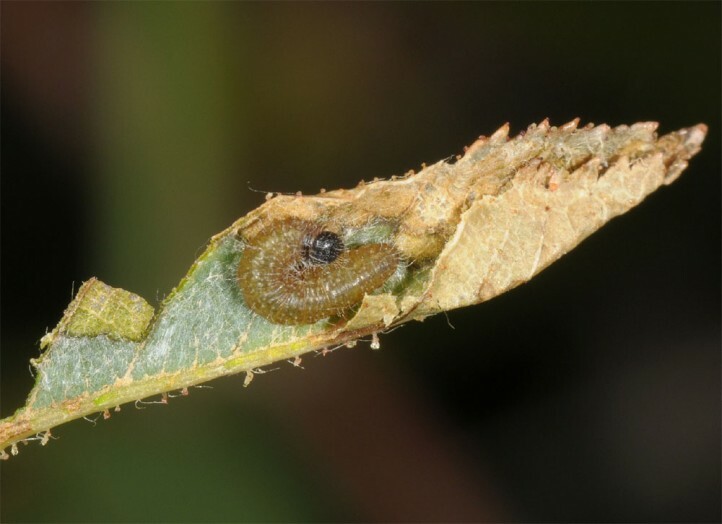 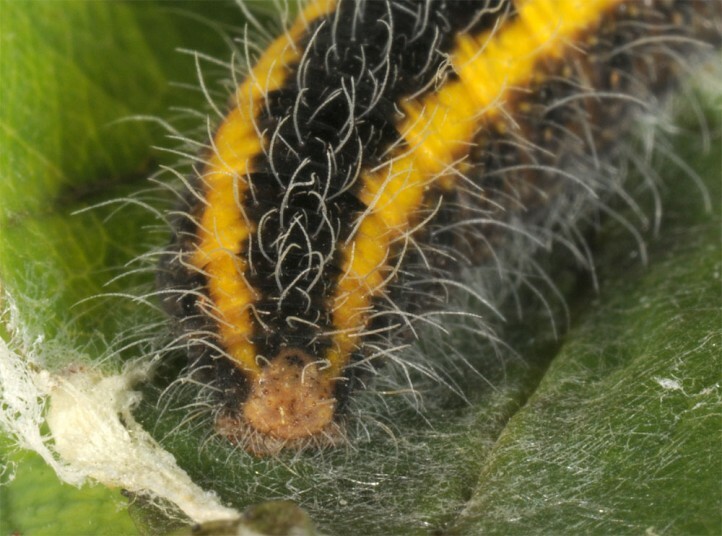 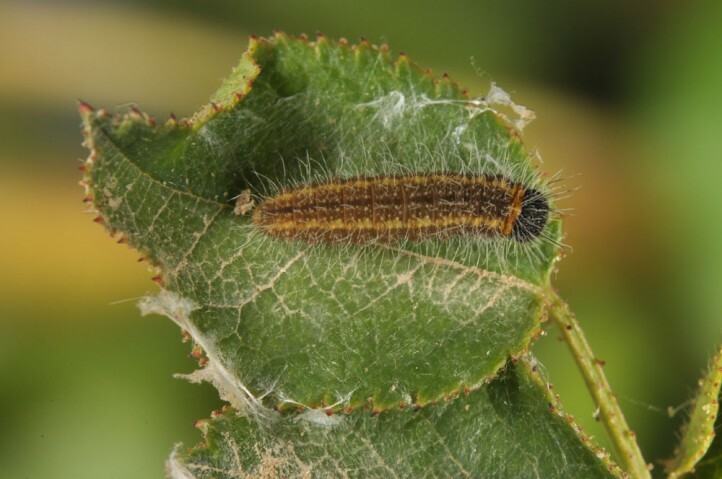 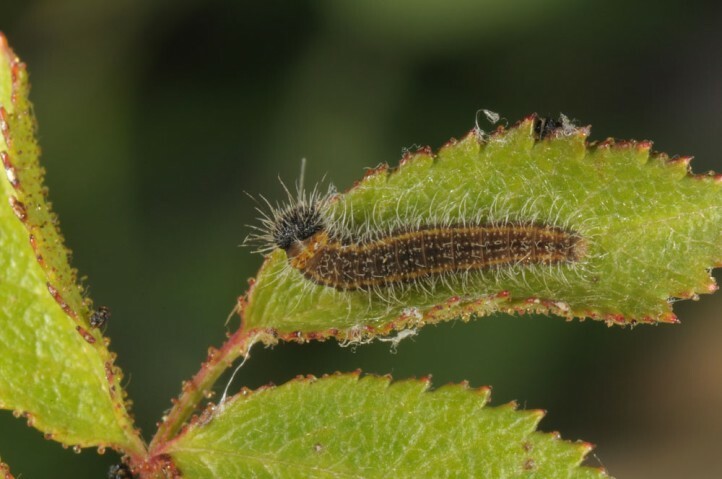 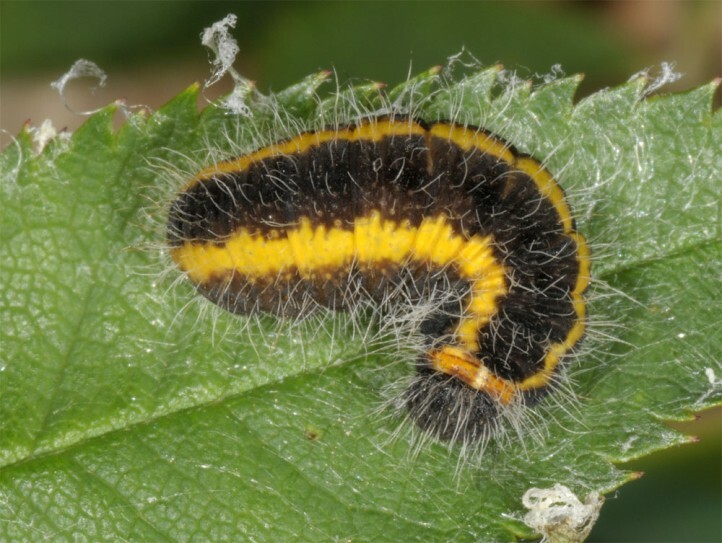 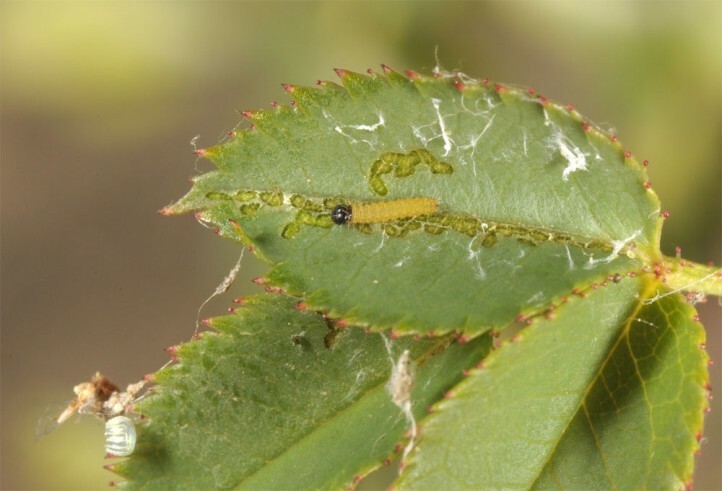 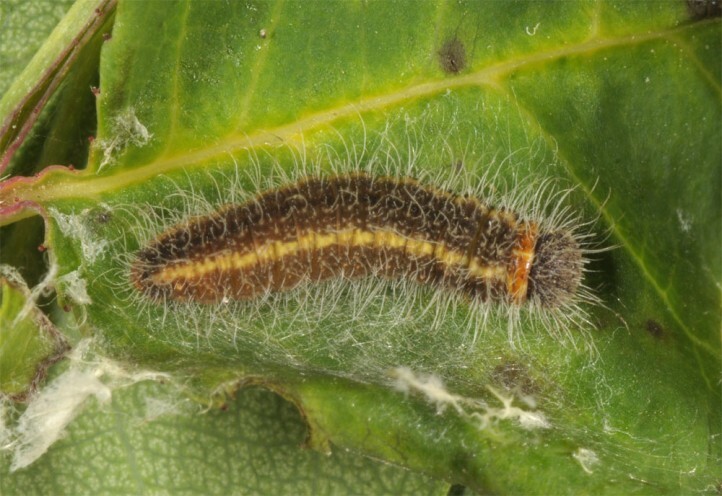 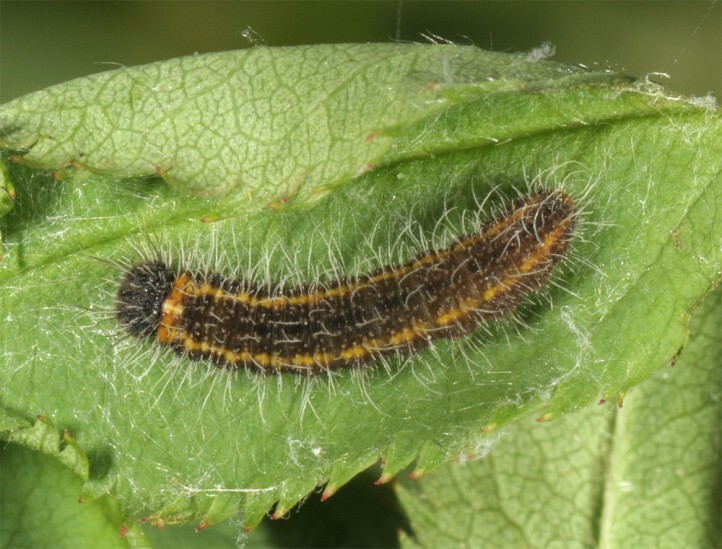 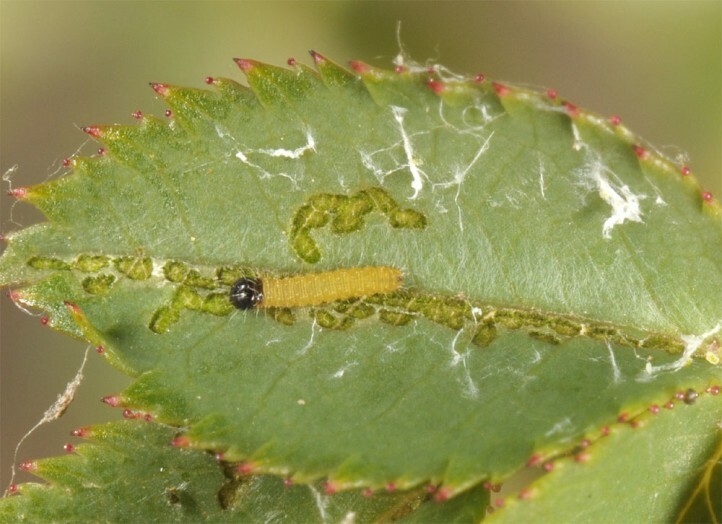 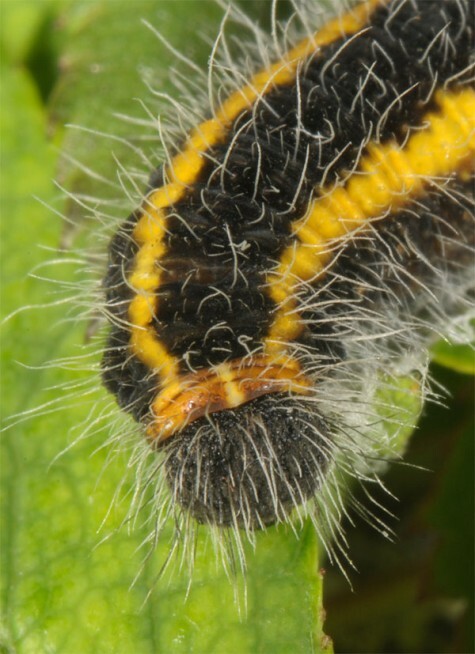 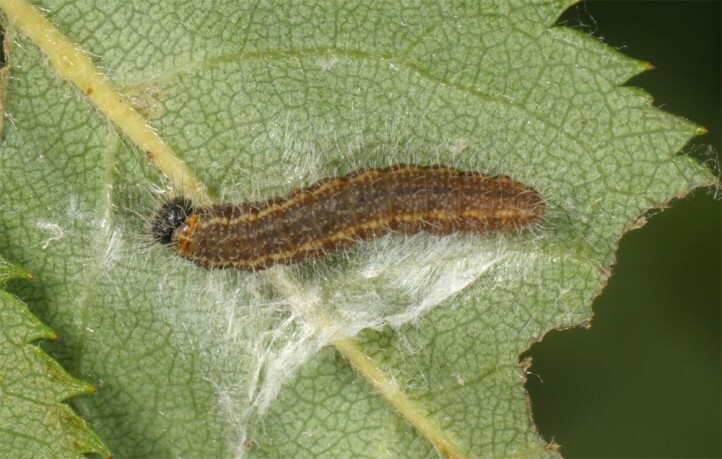 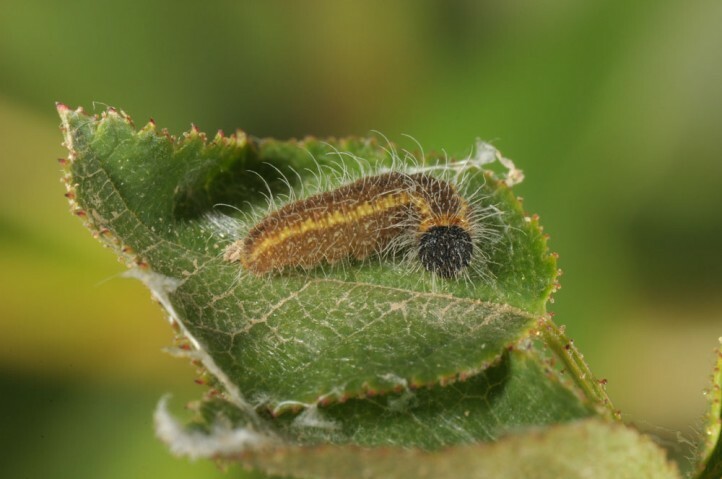 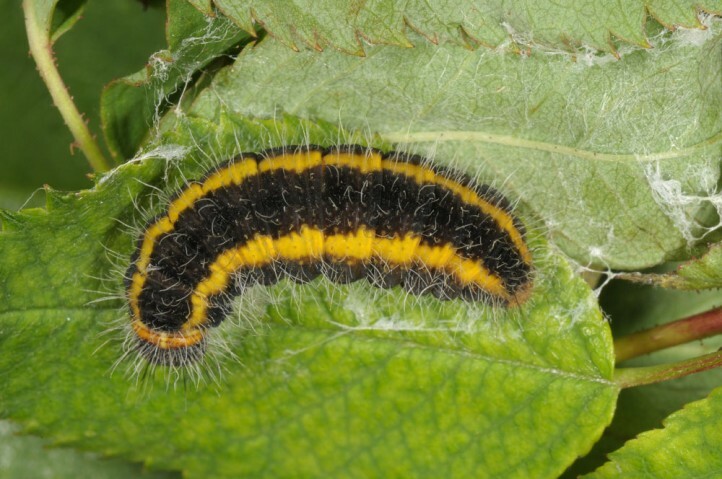 The larvae feed on various Rosa species. 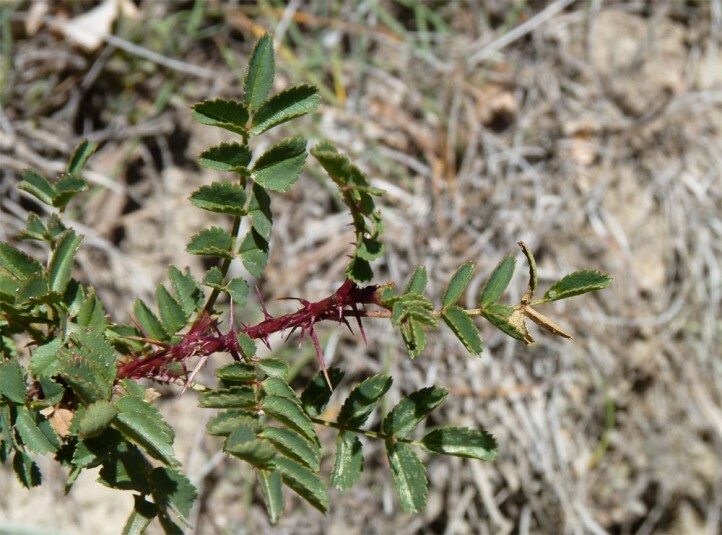 I recorded them near Albarracin (Teruel) especially on Rosa rubiginosa, but also on e.g. 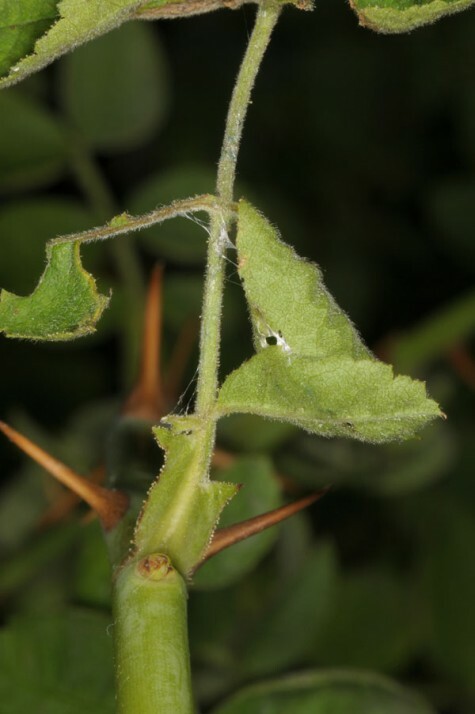 Rosa cf. 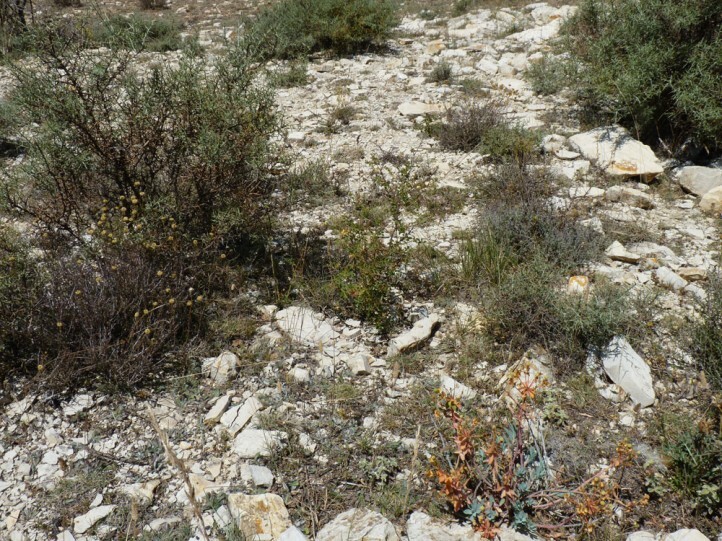 pimpinellifolia. 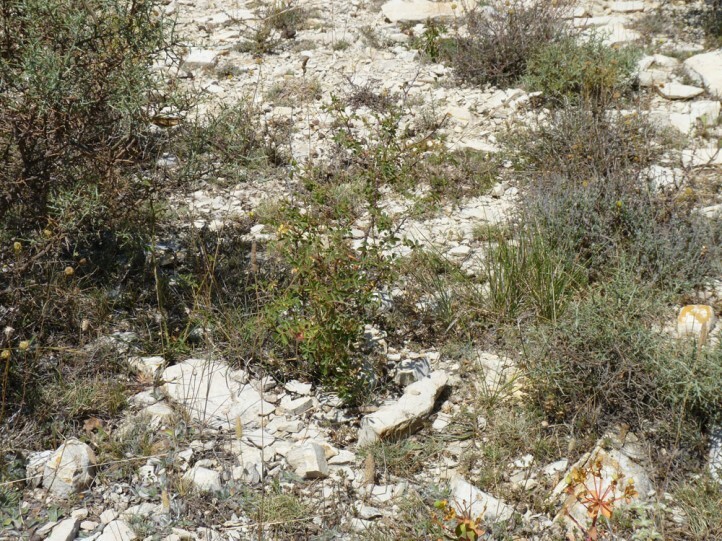 Spialia rosae inhabits pastures, scrub, rocky slopes, embankments, open woodlands with grassy clearings and similar places between 1000 and 2000m asl. 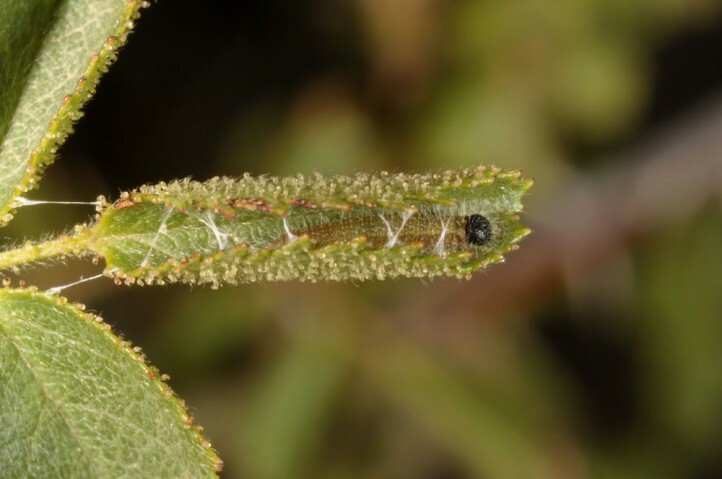 The larvae hibernate in the antepenultimate (own observations in the Sierra Nevada in late September 2017) or penultimate (rearing observations, material from Albarracin) in a refugium (spun shelter) on the rose twigs. 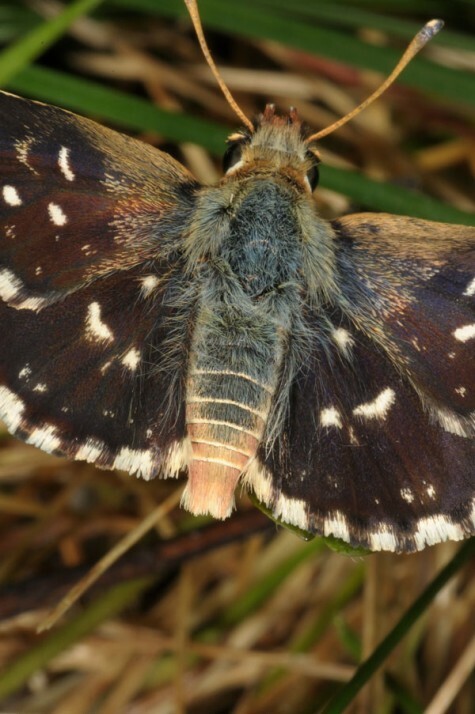 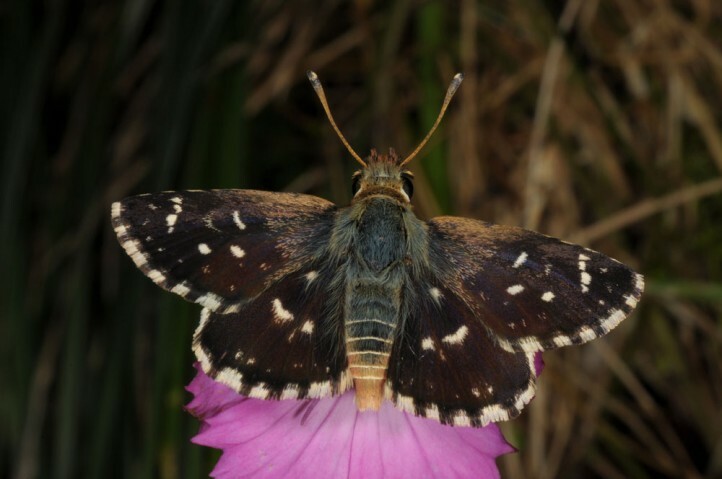 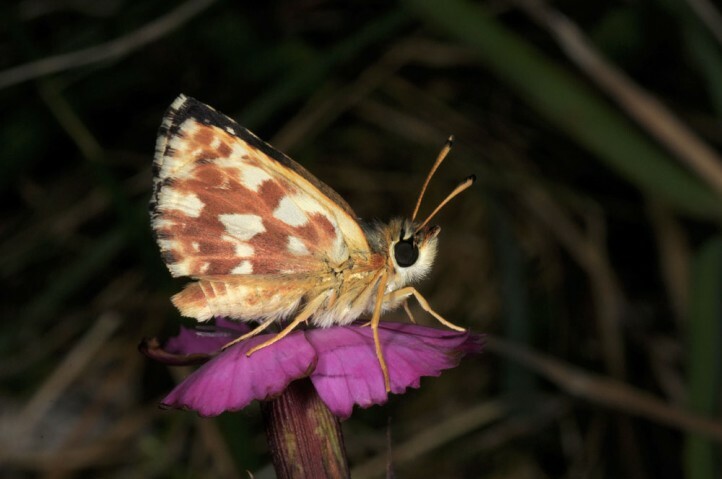 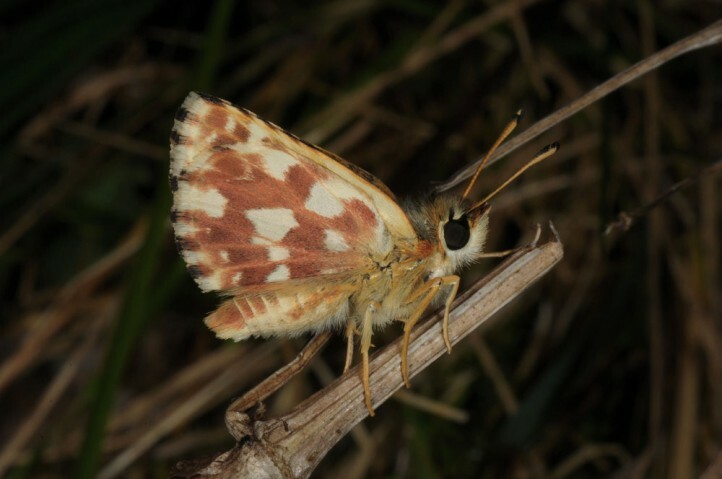 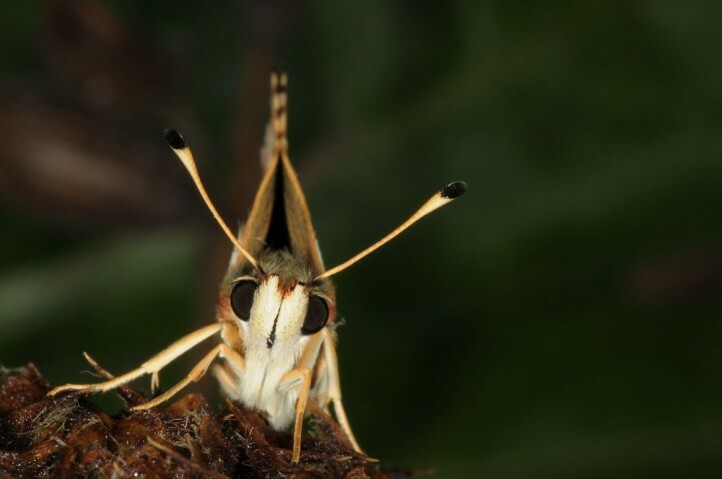 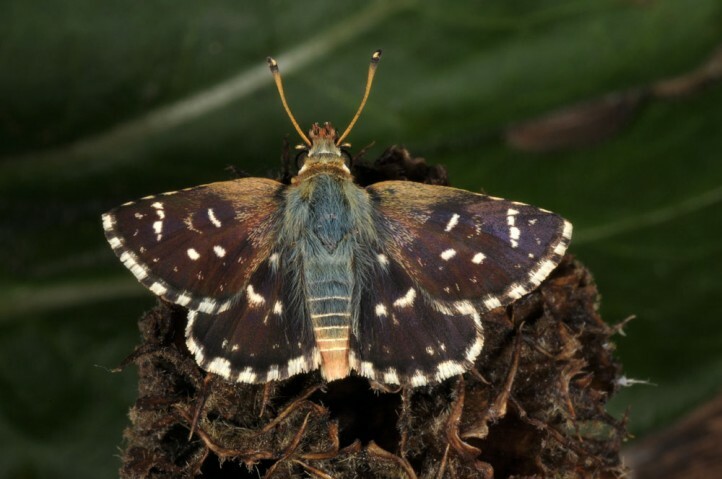 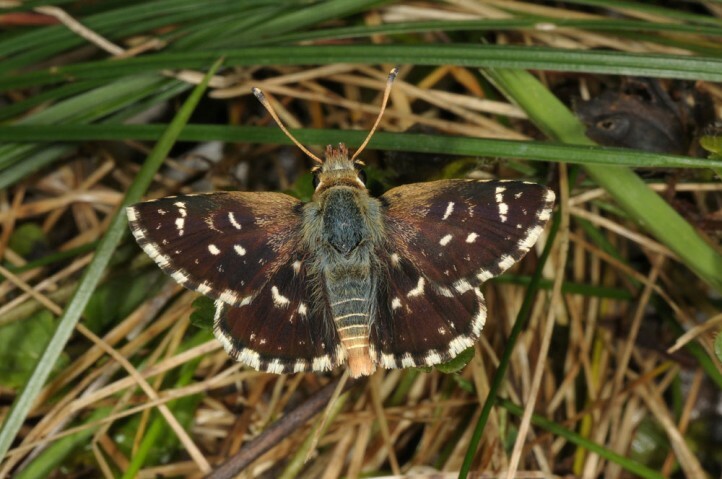 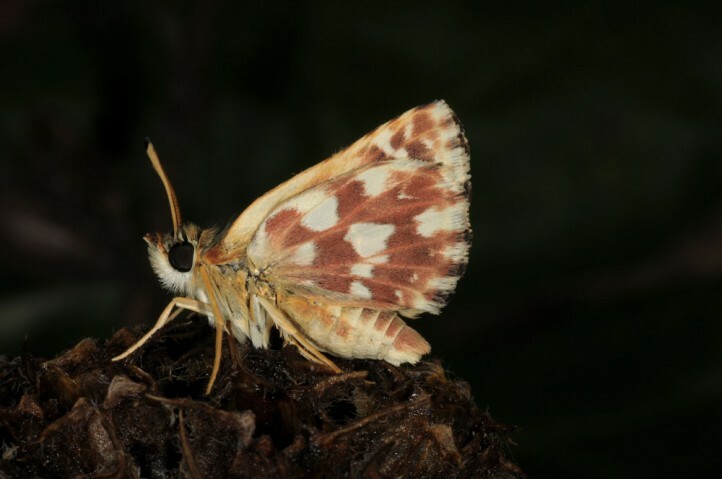 The butterflies supposedly occur in only one generation between June and early August. 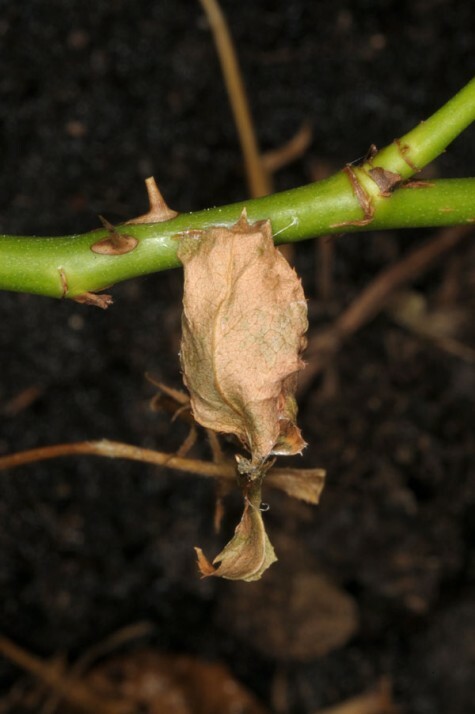 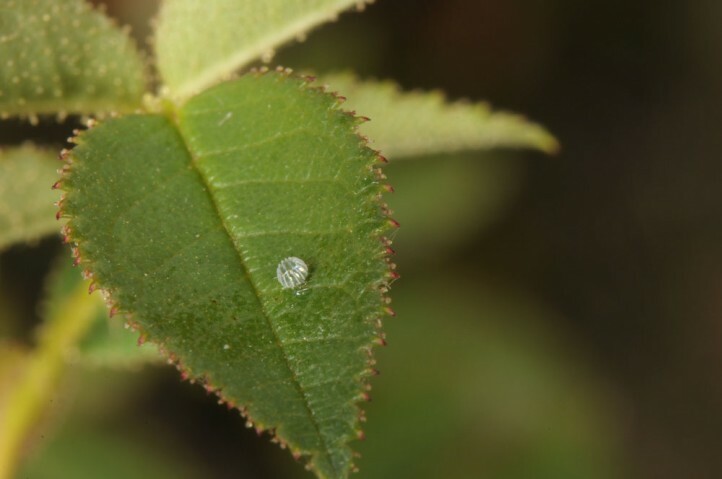 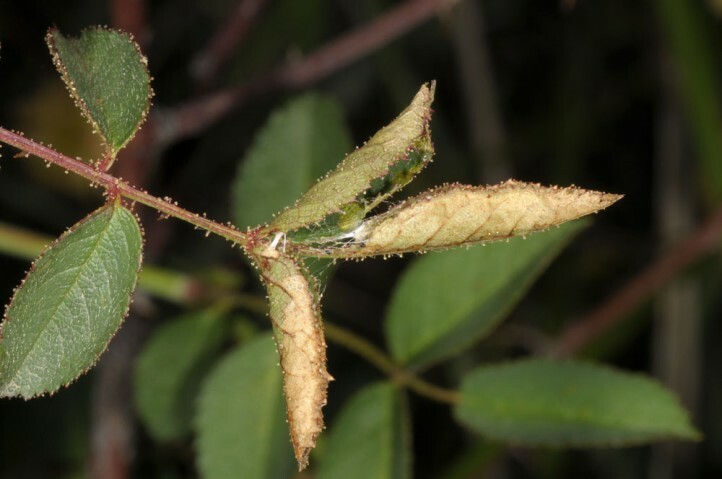 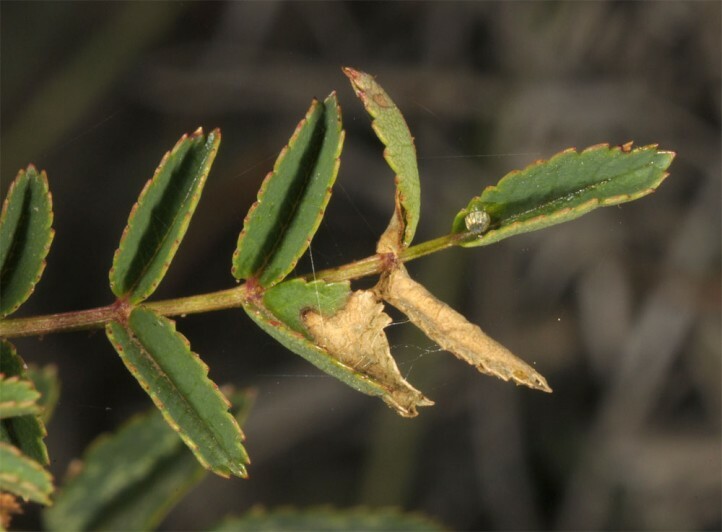 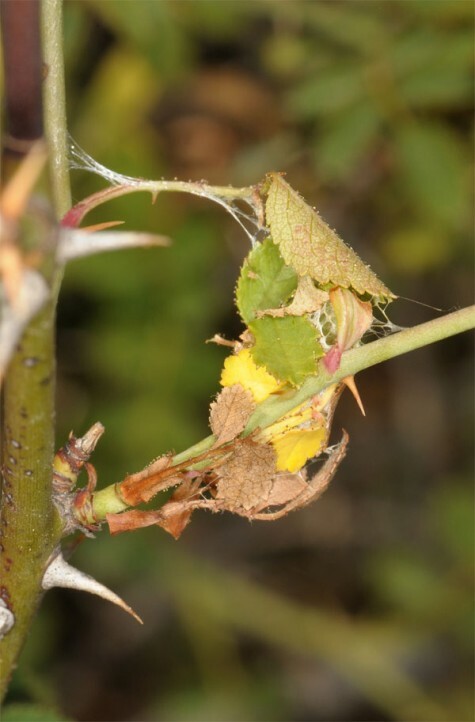 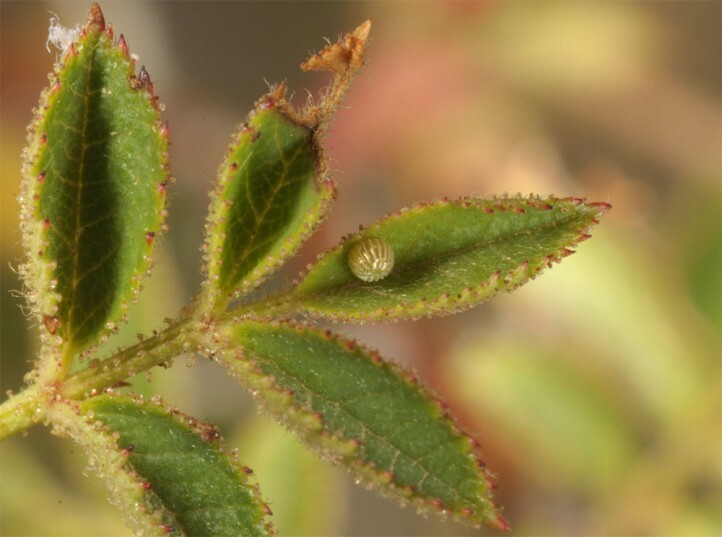 The eggs are deposited singly on the upper side of rose leaflets. 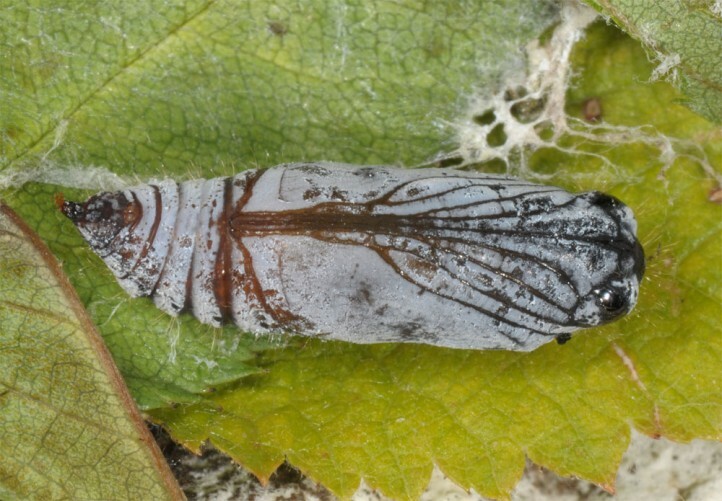 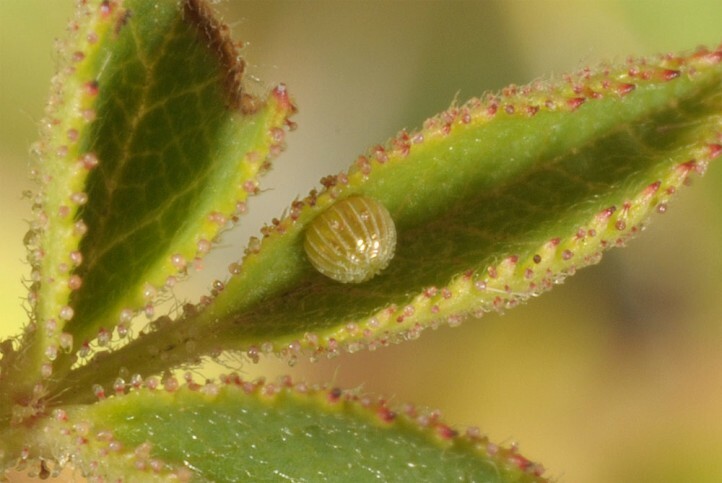 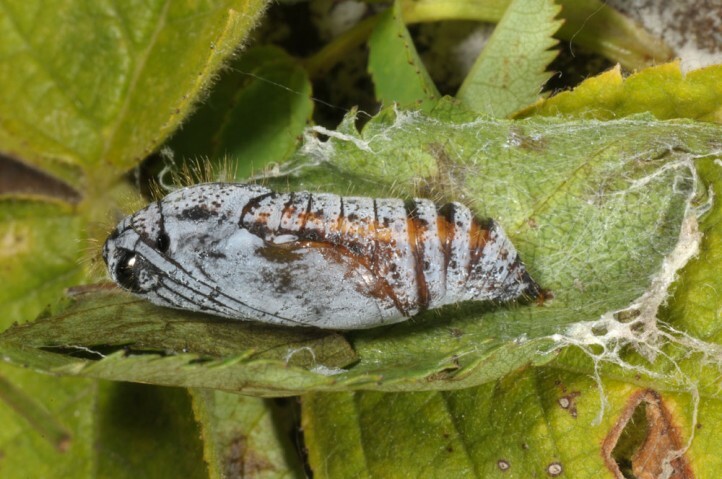 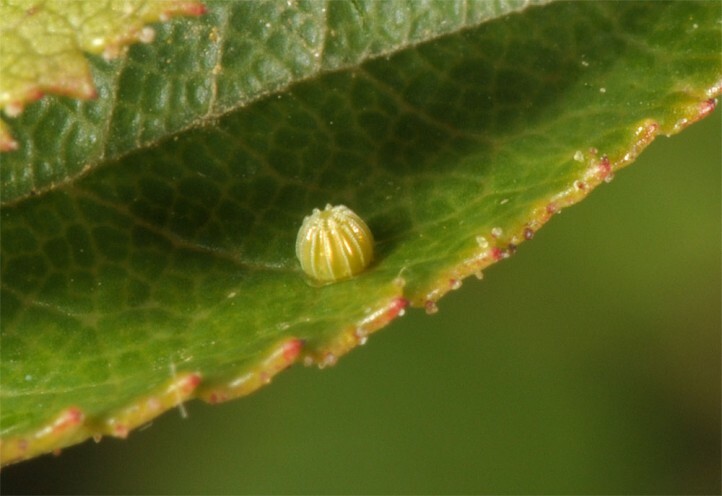 The hatched larvae construct a shelter made of a leaflet and later several leaflets/leaves. 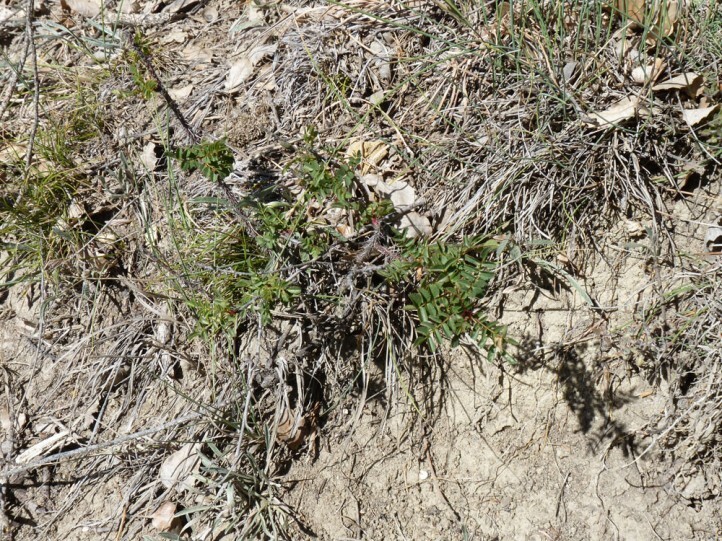 This shelter is connected with filaments to the twig, so that it usually stays at the plant during winter. 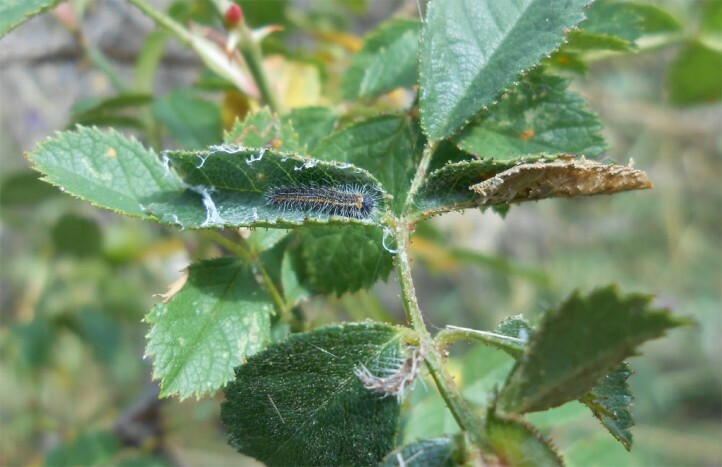 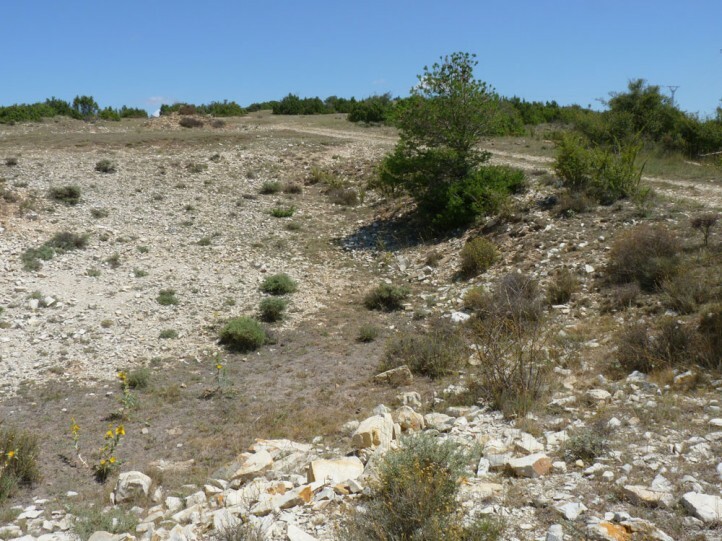 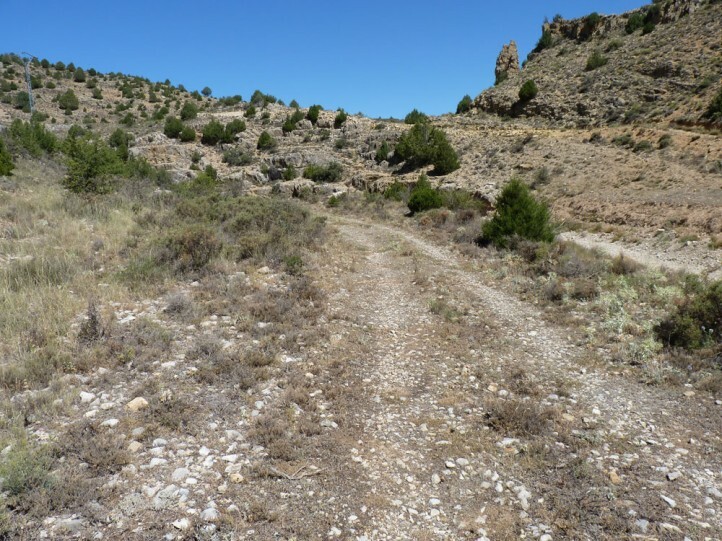 I recorded the eggs and young larvae quite common especially on young and low-growing rose plants in hot microclimatic conditions in the Sierra de Albarracin near Teruel in late July 2017. 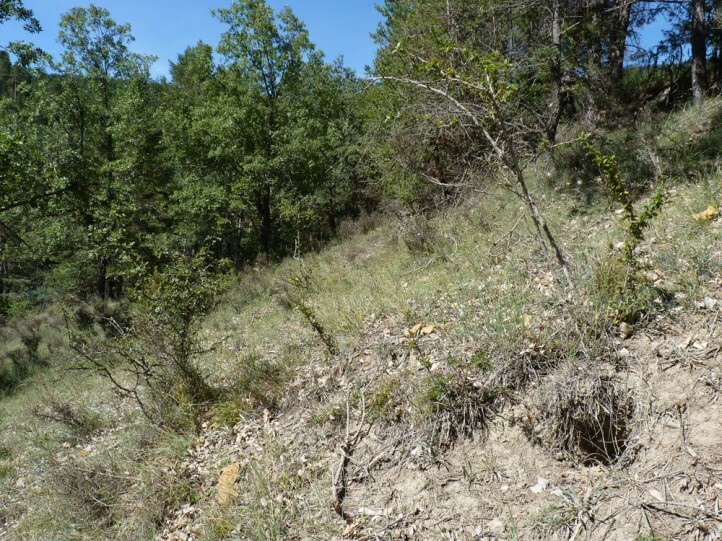 The shelters were usually located 10-40 cm above ground. 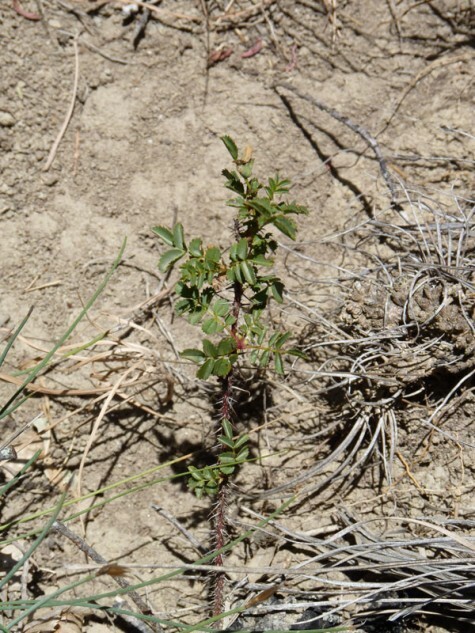 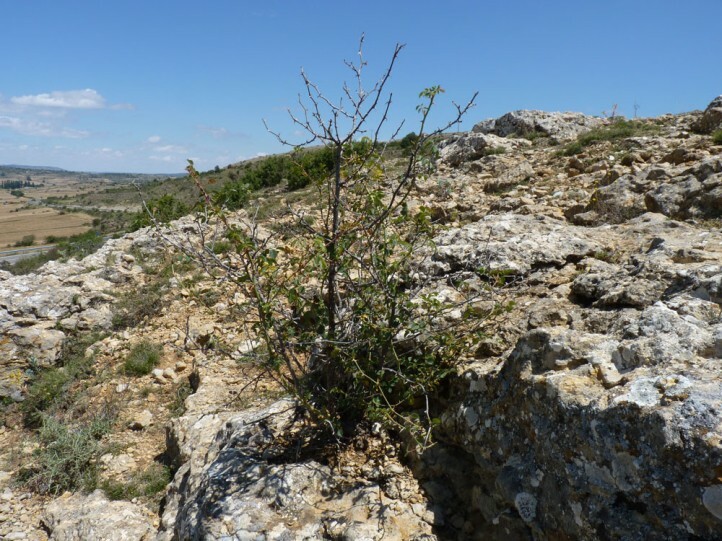 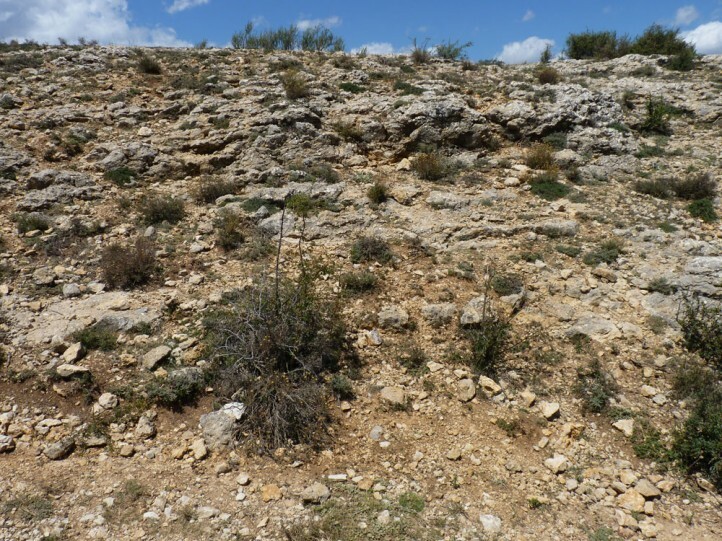 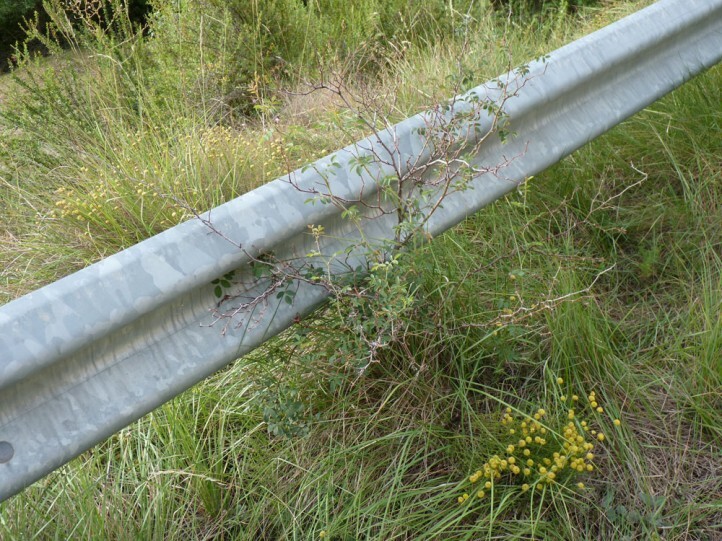 Older bushes only rarely host a larva, so in late August 2013 (also in Sierra de Albarracin) on a lower branch of a medium-old bush. 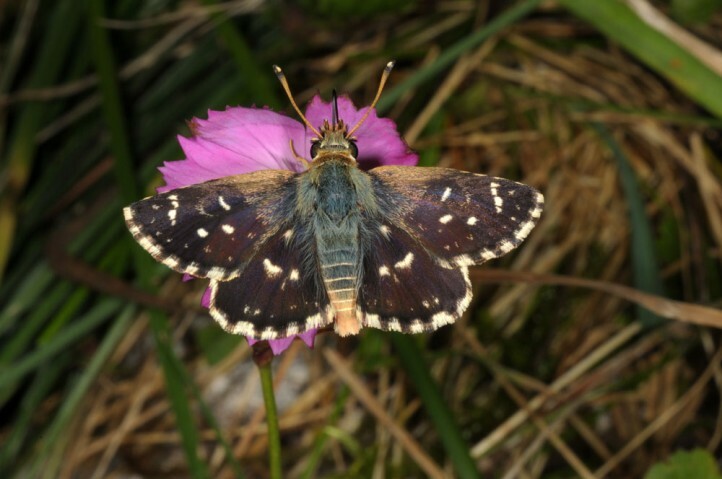 Spialia rosae occurs in the Iberian Peninsula in mountains from the Pyrenees to the Alpujarras region in the Andalusian Sierra Nevada. 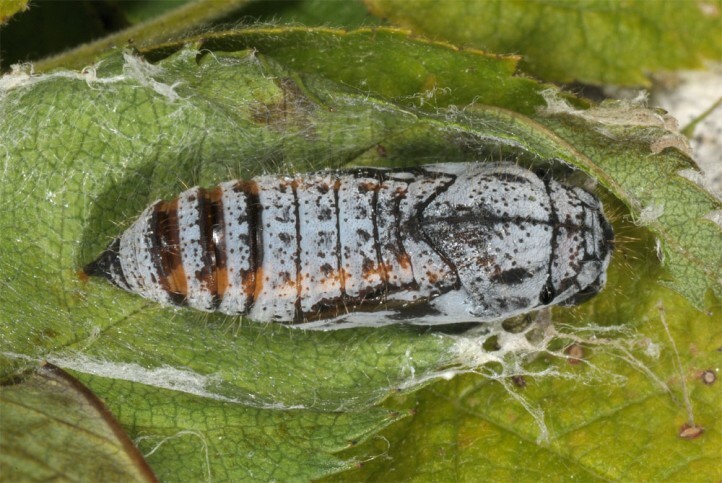 It may be also found in S-France in future. 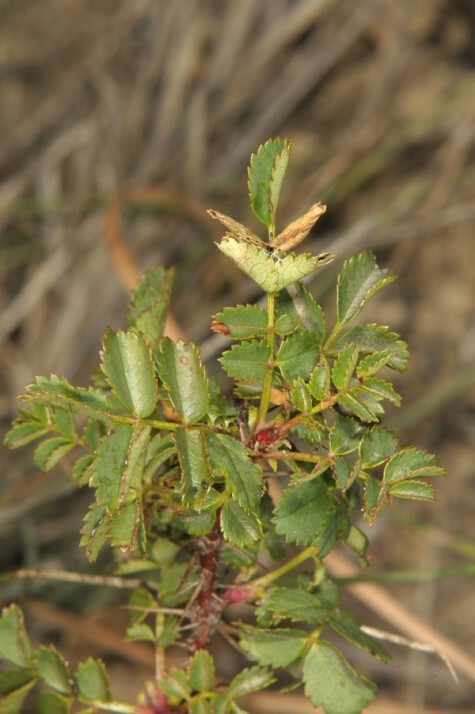 Spialia rosae can almost only be determined by biology (rose as host plant) and biochemical/genetical details. 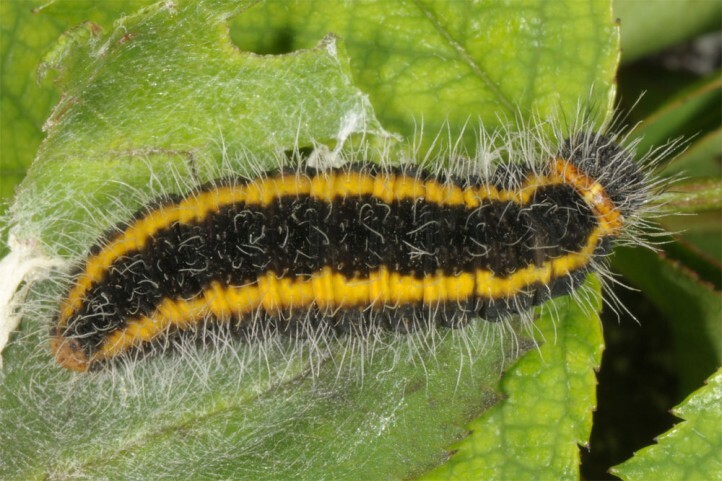 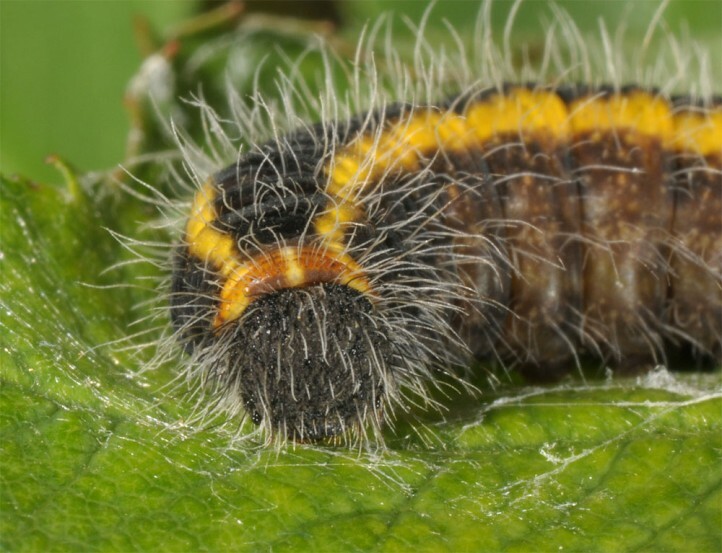 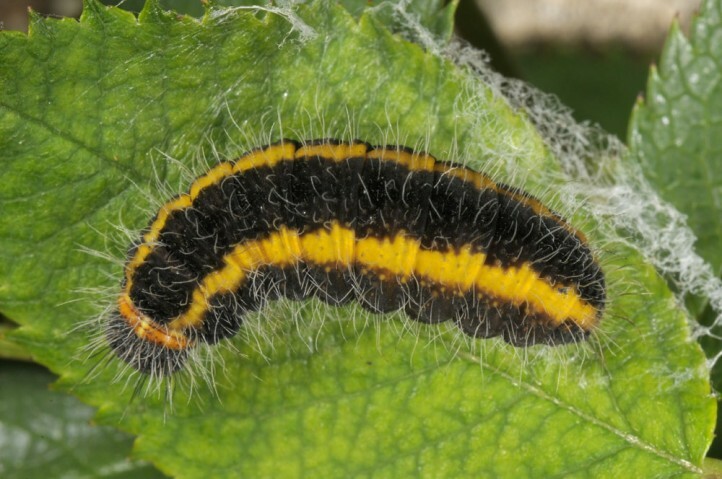 But the yellow stripes of the mature larvae are obviously more intense, broader and more continuous than in S. sertorius. 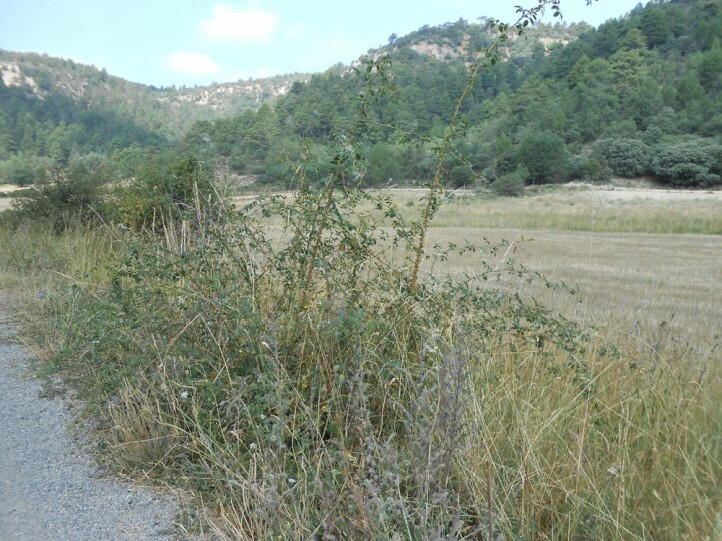 HERNÁNDEZ-ROLDÁN, J.L., DAPPORTO, L., DINCÃ, V., VICENTE, J.C., HORNETT, E.A., ŠÍCHOVÁ, J., LUKHTANOV, V.A., TALAVERA, G. & R. VILA (2016): Integrative analyses unveil speciation linked to host plant shift in Spialia butterflies. 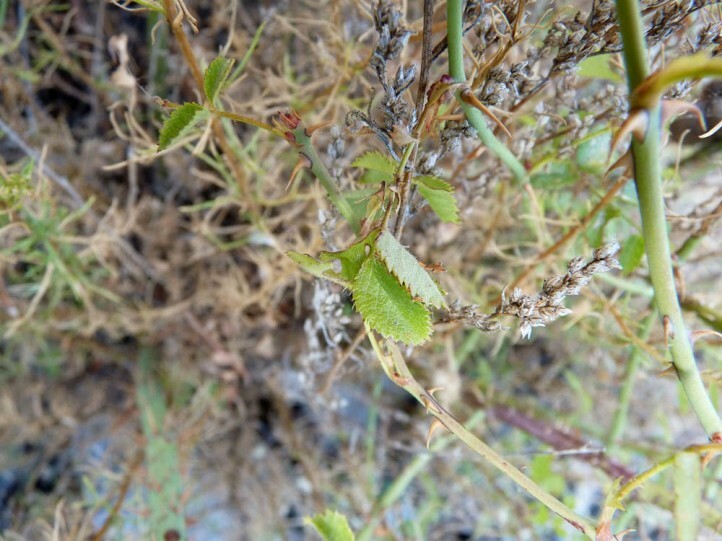 — Molecular Ecology. 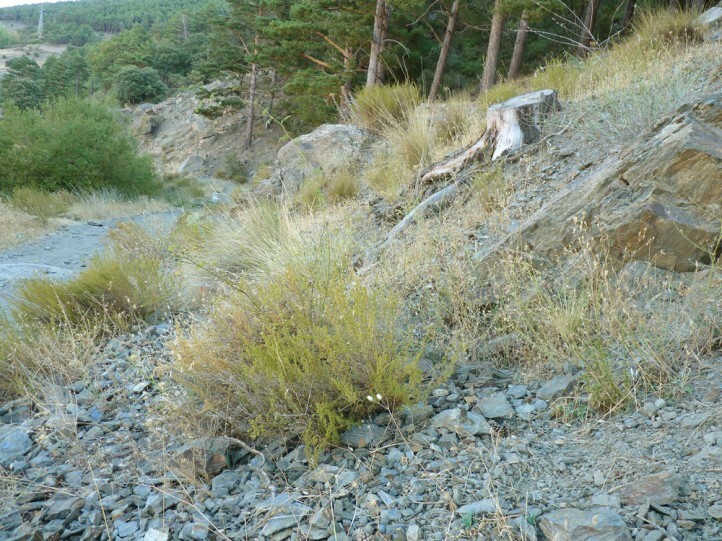 doi:10.1111/mec.13756.